Charm Size : ~3/4" x 9/16"
Pagan / Wiccan / Goddess Symbolism: The Triquetra represents the threefold nature of the Goddess as virgin, mother and crone. It symbolizes Life, Death, and Rebirth, and the three forces of Nature: Earth, Air, and Water. 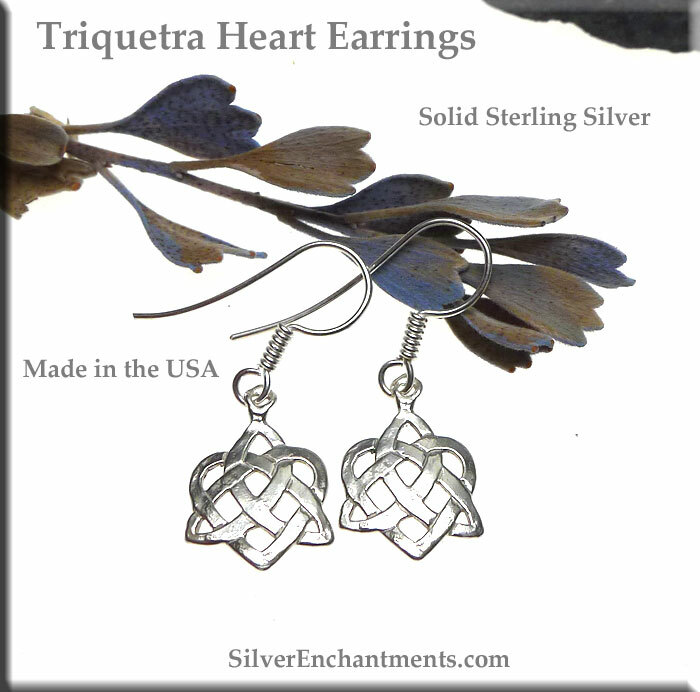 Christian Symbolism - The Triquetra represents the Holy Trinity: the Father, Son, and Holy Spirit. The interwoven nature of the symbol denotes the indivisibility and equality of the Holy Trinity. It symbolizes that the Holy Spirit is three beings of Power, Honor, and Glory but is indivisibly One God.